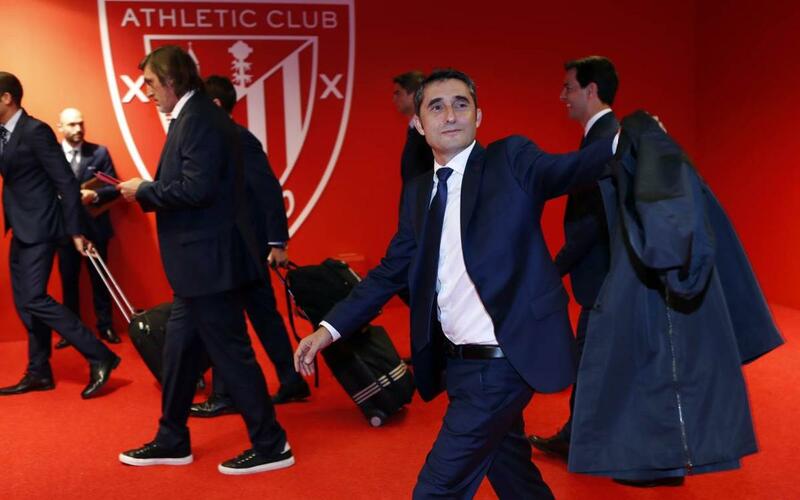 Ernesto Valverde, after blowing out the candles this Saturday on the occasion of his 55th birthday, returns to where it all started. This Sunday at 8.45pm CET, he will again face the team he led for six seasons and with whom he had some great memories: Athletic Club. The Barça coach had already returned to the old San Mámes whilst in charge of Espanyol (2006-2008), Villarreal (2009/10) and Valencia (2012/13). As a visiting coach, his record at the Basque stadium is one win and four defeats in the League, and as for the Copa del Rey; a draw and a loss. Thus, Barça will seek to add another three points and ensure a new milestone in Valverde's favour. If Barça manage to win, they will continue their good moment of form. They remain leaders in the domestic competition - six points ahead of Atlético Madrid - and in the Copa del Rey, everything will be decided in the semifinal (1-1) against Real Madrid on February 27 at the Santiago Bernabéu.